Twentieth Century Fox Television Distribution (TCFTD) has promoted one of its sales executives in Europe and MENA. Maria Ines Rodriguez has been upped to senior VP for Europe and MENA and will continue to work on the sales strategy for the two regions, with emphasis on pan-regional licensing deals. Rodriguez started at TCFTD in 2014 and was most recently VP for EMEA, responsible for closing pay TV and SVoD licensing deals in international territories including the UK, Germany, Poland, Russia, Spain and the Nordics. She began her TV licensing career in Sydney, Australia 12 years ago with NBCUniversal. 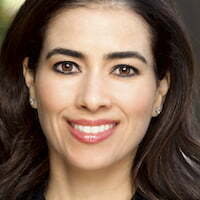 Prior to TCFTD, she spent two years at Hulu acquiring content for the US market and, in particular for US Hispanics. The announcement was made by Kristen Finney, executive VP of EMEA at TCFTD.